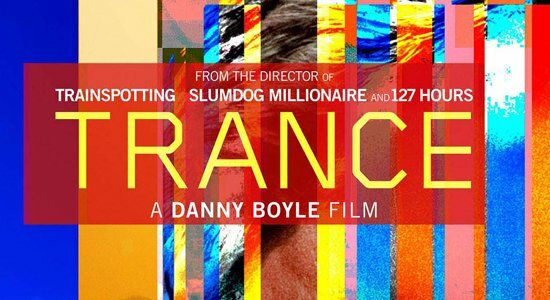 I for one am pretty damn excited about Danny Boyle’s newest film Trance. A great cast – James McAvoy, Vincent Cassel and Rosario Dawson – and a great director at the top of his game. But it also represents a return to the darker, weirder generic style that gave Boyle get his start and the newest red-band trailer makes this one look like Shallow Grave with art auctioneers. McAvoy plays art auctioneer Simon who helps a gang steal a Goya painting, but after a blow to the head forgets where he’s hid it. In a bid to get the painting back, the gang’s leader Frank (Vincent Cassel, looking all kind of smarmy) sends him to hypnotist (Rosario Dawson). And that’s when Simon starts coming apart at the seams. The red-band trailer takes us much deeper inside Simon’s psyche than the initial trailer. I’m going to guess that where the lines are drawn between fantasy, reality and Simon’s suggestibility under hypnosis will begin to blur for Simon and the audience, leaving us in a similar position of the man whose subconscious we’re exploring. Boyle has been good at the bait and switch before – again: Shallow Grave. He also knows how to manipulate the differences between reality and fantasy to excellent and disturbing effect. See Trainspotting if you do not believe me. The red-band trailer for Trance is not too red-band-y, but definitely NSFW due to a few brief glimpses of some serious violence and torture, which may or may not be fantasy. There’s at least one shot that surprised me for its gore. Trance hits theatres April 5, which is far too far away for me. Can’t we move that up a little? I want to see James McAvoy go crazy! Check out the red-band trailer for Trance below and let us know what you think in the comments section!